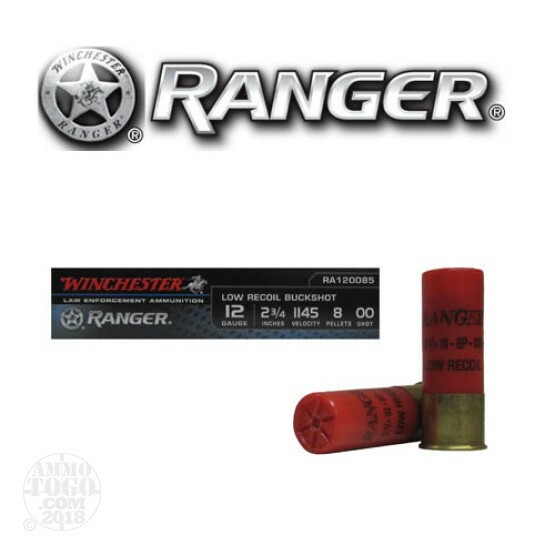 This is 12 Gauge Winchester Ranger Low Recoil 2 3/4" 8 Pellet 00 Buckshot Ammo. This is considered to be some of the best law enforcement buckshot available. It has an excellent shot pattern and is low recoil for quick shot after shot acquisition. This ammo comes packed in a 250rd. case.